(Photograph) (GINSBERG, Allen). 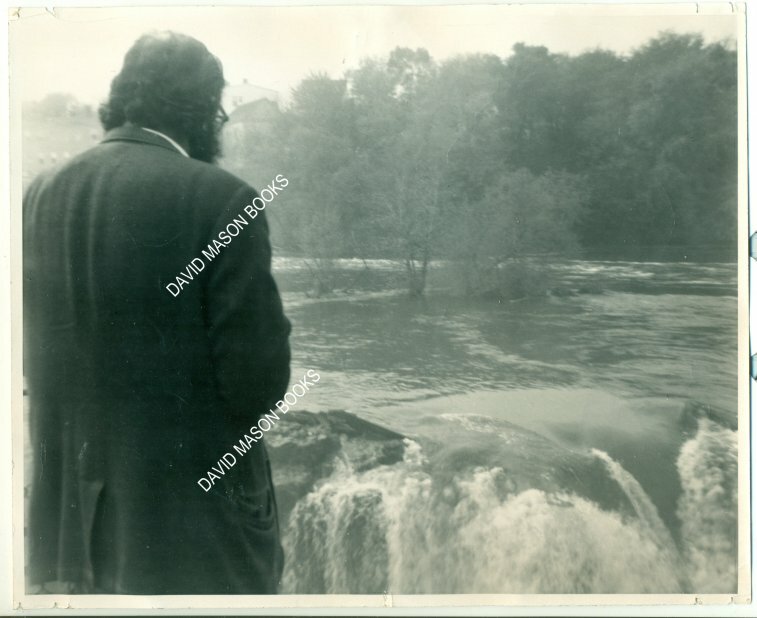 Original photograph of Allen Ginsberg looking out onto Niagara Falls, taken by George (then Doug) Fetherling, 1968. Black & white, 8”x10”. Unpublished. Wear to corners from hanging or mounting, light creasing, very good. Fetherling and Ginsberg visited Niagara Falls when Fetherling acted as Ginsberg's handler during a 1968 trip to Toronto to read at Hart House. During this trip, Fetherling also convinced Ginsberg to leave behind journal material that would eventually be published by Anansi as Airplane Dreams: Compositions from Journals.